You can't deduct home improvements from income taxes immediately except under a few specific special circumstances. However, it may be possible to get a tax benefit from your home improvements later on - at the time you sell your home. For tax purposes, a home improvement is anything that increases the value of your home. Basic repairs such as patching a leaky roof don't qualify. However, if you replaced your existing roof with a different and higher-quality type of roof, that would likely increase the value of your home and therefore count as a home improvement. General-purpose home improvements can't be deducted from your tax return. However, you do benefit from the way these home improvements increase the value of your house. 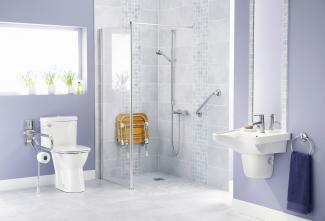 Any home improvements you make are added to your 'tax basis' in the house. Tax basis refers to how much you have invested in something, and it's used to figure out your gain later on. When you sell your house, you will subtract your tax basis in the house from the selling price to calculate your gain. Gain is subject to tax, so by increasing your tax basis through home improvements you're reducing the amount of tax you pay at the time of sale. If the purpose of a home improvement is to provide medical care for you, your spouse, or one or more of your dependents, it qualifies as a medical home improvement. Medical home improvements can be deducted at the time they are made, but only to the extent that they don't increase the value of your home. The IRS reasons that you'll get the tax benefit from the increase in value when you sell the house, so they don't want to give you what would amount to a double deduction. If you were to replace all your doorknobs with lever-style handles because your arthritis makes it difficult for you to manage round knobs, you could likely deduct the entire cost since that wouldn't affect the value of your house. However, if you installed an elevator for the benefit of your wheelchair-bound spouse, the value of your house would rise significantly. You could only deduct the difference between the change in your house's value and the total cost of the improvement. The other hitch with medical home improvements is that, like all medical deductions, you can only take them if you choose to itemize deductions on your return. Worse, they're subject to a 10% adjusted gross income (AGI floor). This means that you have to subtract 10% of your adjusted gross income for the year from the sum of your medical deductions and then claim only the remainder as a deduction on your tax return. You can't deduct home improvements that increase your home's energy efficiency, but you can do something even better: get a tax credit. Credits are subtracted from your tax liability for the year, whereas deductions are subtracted from your taxable income to calculate the tax liability. Thus, credits can save you a lot more money on your taxes than deductions. The Residential Energy Efficient Property Credit allows you to claim a tax credit of 30% of the cost of solar hot water heaters, solar electricity-generating equipment, and other qualified alternative energy equipment. The credit for solar-type equipment has been extended at least through 2021. Sadly, the other types of energy tax credits have now expired. If you use your spare bedroom exclusively as a home office and you have an external door installed so that clients can walk straight into your office, you can deduct 100% of the cost of the new door. If you have your laminate flooring replaced with hardwood flooring throughout the house and your home office takes up 25% of the total square footage of the house, you can deduct 25% of the cost of the new flooring. Keep in mind that you may not be able to deduct the full cost all at once. Capital improvements, meaning improvements with benefits that last for more than one year, are typically depreciated and the deduction is split out over several years. If you take out a home improvement loan or use a home equity line of credit (HELOC) to pay for home improvements, the interest on the loan or line of credit is deductible. 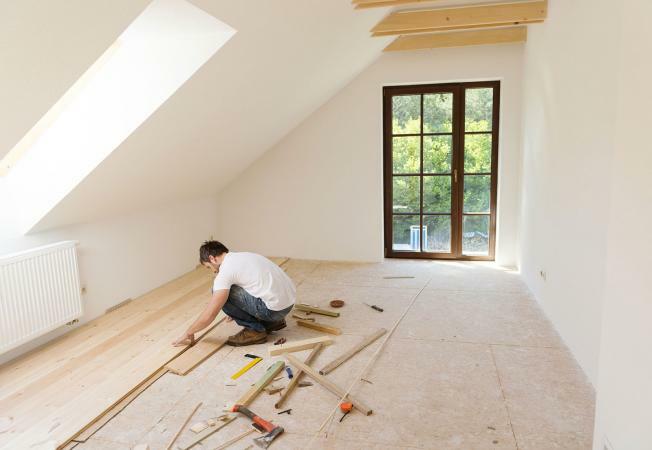 Note that the money from the loan or HELOC must be spent on home improvements and not just home repairs in order to qualify for the interest deduction. Points and other closing fees on the loan are also deductible. If you qualify for one of the special circumstances listed above, you'll need to claim your deduction(s) on your tax return. Medical home improvements are deducted as an itemized expense, so you'd need to itemize deductions instead of claiming the standard deduction in order to benefit. Itemized deductions go on Schedule A of Form 1040. The home office deduction, including any related home improvements, goes on Form 8829. Like medical home improvements, the interest on a home improvement loan or HELOC is an itemized deduction, but happily this particular deduction is not subject to the AGI floor.